I have been working on a developing a healthier carnitas recipe for months, trying different combinations of braising liquids, cuts of pork, spices and cooking times. After a few failed attempts, I have finally perfected the dish. I use pork tenderloin (pork loin was way too dry), half a beer (the entire beer was too watery), an orange, a few cloves of garlic and my taco seasoning as the dry rub. This dish is low maintenance, but requires planning ahead. 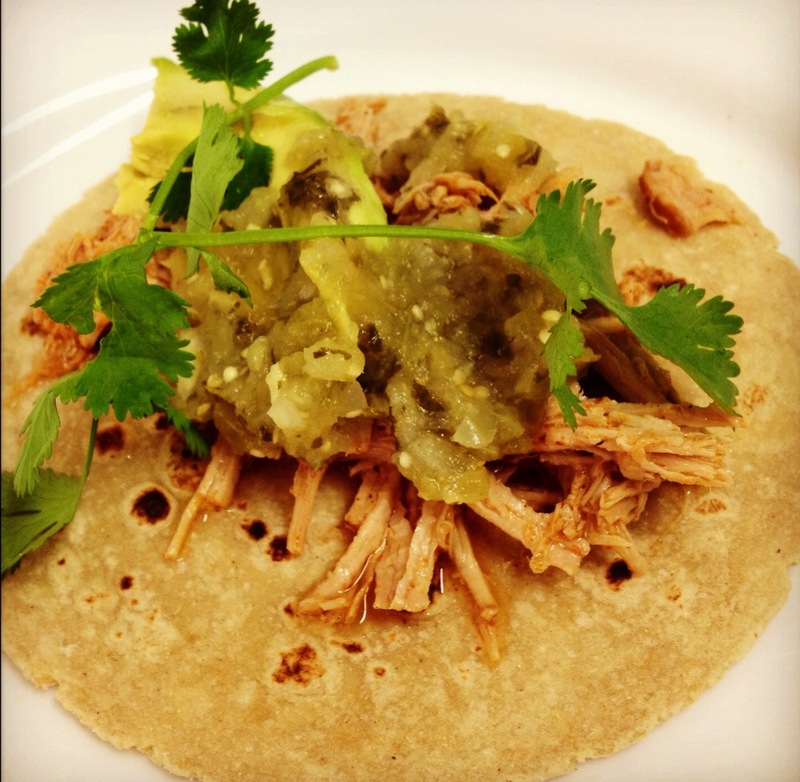 We usually prepare carnitas on a Sunday, and have them ready to go for a quick weeknight meal. To prepare, rub the tenderloin with the taco seasoning, brown the meat, throw all the ingredients in a slow cooker, and eight hours later you’ll have delicious, tender carnitas. We use the meat to build tacos with Trader Joe’s corn & wheat tortillas, roasted tomatillo salsa (you’ll never want store bought salsa verde again), avocado and cilantro. It’s healthy, simple, delicious Mexifornian cooking. Season pork with taco seasoning. In a medium sauté pan on medium-high heat, brown pork on all sides for about 10 minutes. Remove from heat and allow to cool. Using a sharp knife, insert blade into pork, cutting small holes and insert garlic cloves. Season pork with another tablespoon of taco seasoning. Pour beer and the juice of 1 orange in the crockpot, add bay leaves. Place pork in slow cooker and cover. Cook low for 8 hours. After 8 hours, shred pork using two forks and combine well with the juices that accumulated at the bottom. Remove bay leaves and adjust spices (you will probably need to add more). Let it cook another 15-30 minutes. 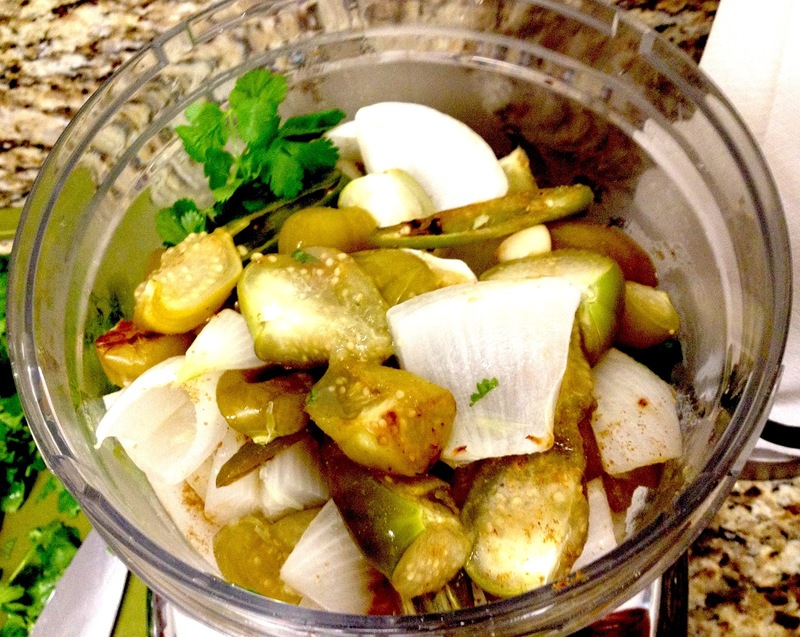 Preheat oven to 400 degrees F. On a baking tray, roast tomatillos, onion, garlic and jalapenos for 12 to 15 minutes. Transfer the roasted vegetables and any juices on the bottom of the tray to a food processor. 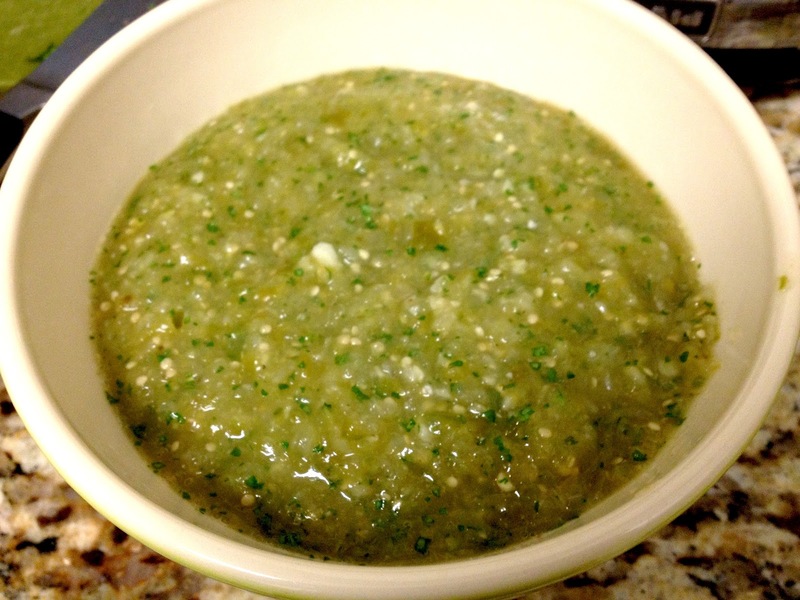 Add the cumin, salt, cilantro, and lime juice and pulse mixture until well combined but still chunky. This looks so delicious!! I am going to try it next week!! Maybe we could try this around the holidays in Michigan, a Michifornia dish.